Often we complain about the numerous times German manufacturers have failed to send models enthusiasts want to U.S. shores. 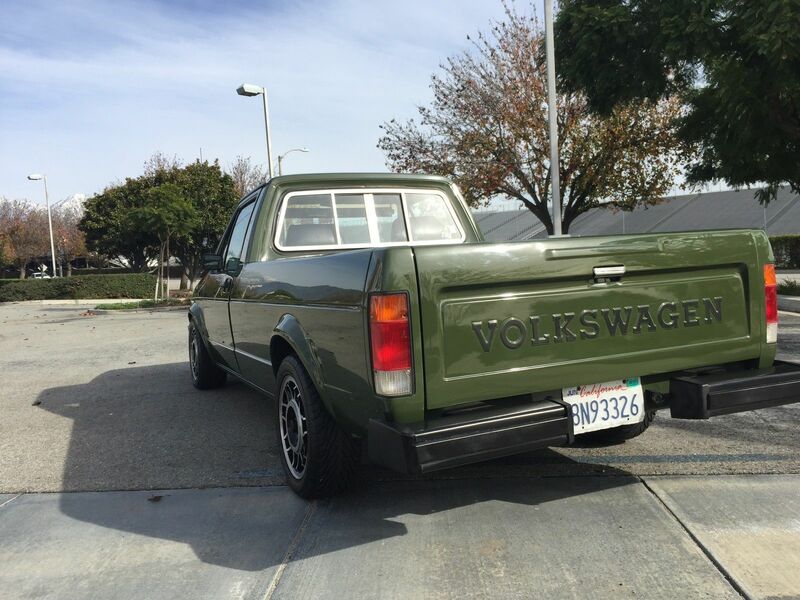 But in the case of the Volkswagen Pickup – affectionately nicknamed the “Caddy” after the model that was released later in Europe – was first debuted out of the American Westmoreland, PA plant. The chassis was lengthened and unique bodywork and rear axle were fit, and the Rabbit Pickup was marketed as a comfortable, car-like utility vehicle. 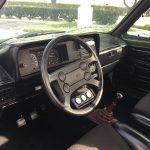 Between 1980 and 1982, Volkswagen even offered the Rabbit “Sportruck”. 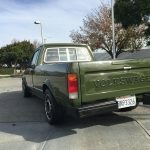 While most would presume this was primarily an appearance package, the Sportruck actually was quite a bit more sporty than the diesel options in the rest of the lineup. 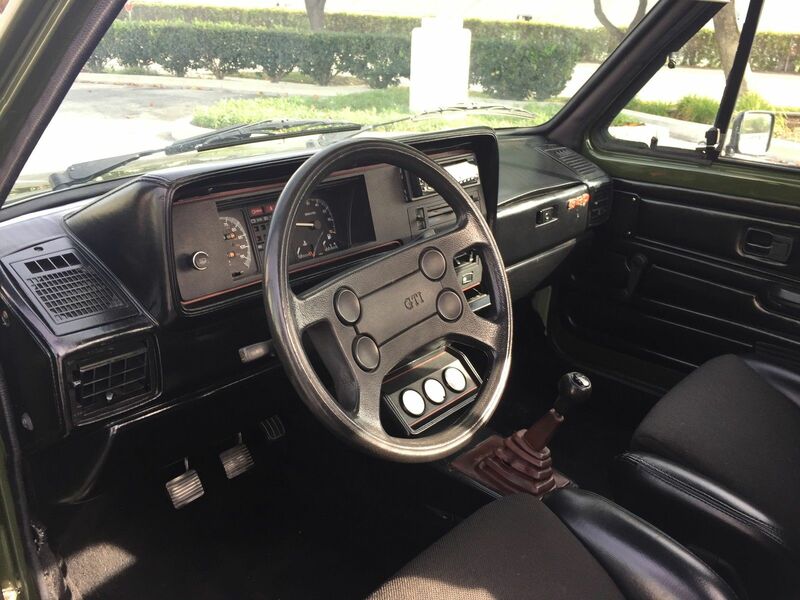 You got a 5-speed manual (opposed to 4) hooked to a 1.7 liter 8V, a front spoiler and special “Rally” wheel trim, along with a 3-gauge console and bucket seats with a Scirocco steering wheel. It wasn’t a GTI, but it was a half step in between. I have the CA Clean Diesel title in hand. 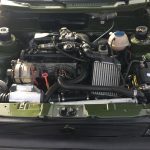 1.8L 8V g60 of a 91 Corrado, G60 Charger pulling good 9ponds of boost. 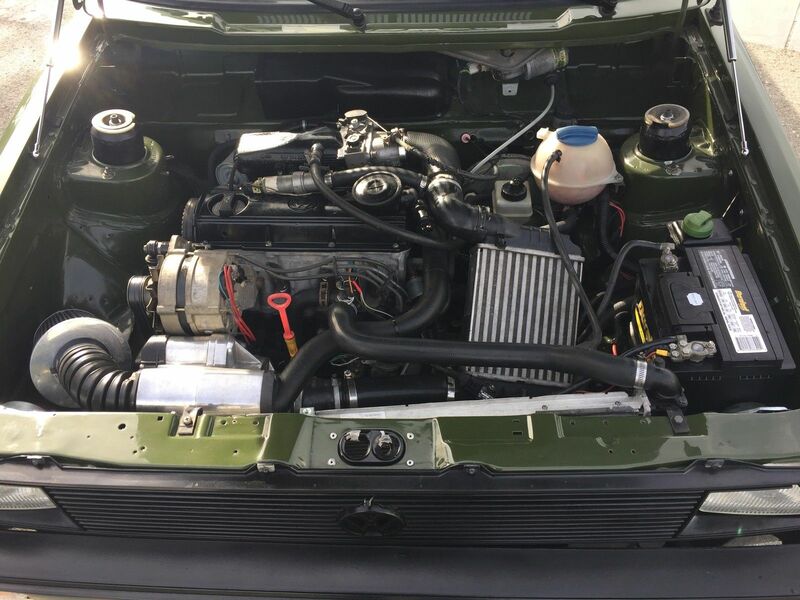 Engine has been keep in great shape with 9ok original miles. Engine aluminum had been power coated black. Running 10w 30 motor oil. Audi air cooler to cool the g60. Starts every-time. Runs great, stops great, not going to wind any land-speed records. 02A Corrado 5 Speed manual transmission with fresh OEM clutch dish and lightweight flywheel. 02j of a 05 GTI shifter, shifter cables and transmission tower. 11â€ rroco breaks up front. Wheels: 14â€ snowflakes of Mk1 Gti 185/55/r14 90% left over. Mk1 GTI interior swap it was original red but had been painted to gloss black. All electrical and gauges are working. Clean dash and glove box. Clean fresh Recaro Seats of an Mk2 GTI. Clean headliner and pillars cover not the best carpet. CD/Aux/MP3 player. Dual sliding rear window w/ good seal. Exterior: Custom military green with PPG clear was spayed two years ago. Clean paint job no rust. Truck is kept in my garage. Euro bumper and clean lights. I love the flat military green paint, a reminder that this is a utility vehicle. The match with the GTI Avus “Snowflakes” is classic Mk.1, too. There’s little apart from the lowered stance and unique color that would let you know it’s not more than cosmetic. But outside of that this car truck has hidden upgrades. The brakes and engine from a supercharged Corrado up the performance well over stock. Coilover shocks and Mk.2 sport seats help to keep you and the power in check, while the GTI bits make it feel a lot more special. In all, it’s a tidy package that should be entertaining to drive and draw some attention for a reasonable sum. 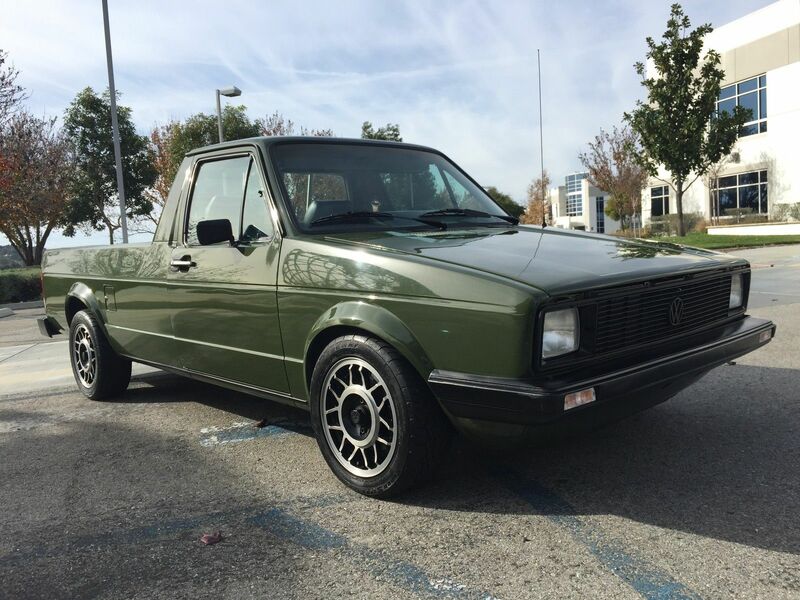 Tagged 1980, a1, G60, GTi, Rabbit, Snowflakes, Supercharged, truck, Volkswagen.